Do we get The Southern Airport Line off the ground as fast as possible and use the ATEED levy to help pay for it? Heavy rail is the best option to the airport from both sides, Onehunga and Puhinui. Don’t get caught up in the political spin of Labour/Goff and some in AT(+ AT spin off called Greater Auckland). Light rail is not the answer in either direction. Auckland airport is an international airport serving wider than Auckland and that includes people living in a place called the Waikato. Heavy rail line to the airport from Puhinui will allow Hamilton and environs to commute straight to the airport or to Auckland. It can be done with triple or quadrupling the NIMT and building high speed crossovers. Yes, Central Govt should foot the bill as Kiwirail will own the lines and infrastructure except the stations. 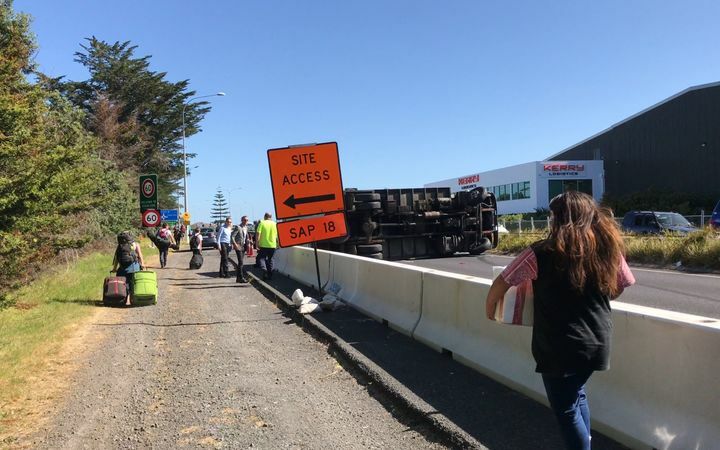 The via Puhinui option is a dog and hurts Southern Line run patterns compared to The Southern Airport Line option that integrates with the Southern and Manukau Lines as well as the Manukau Bus Station. Inter City services can transfer either at Puhinui, Manukau or if heavy rail is built to the Airport – Otahuhu so they do not lose out. 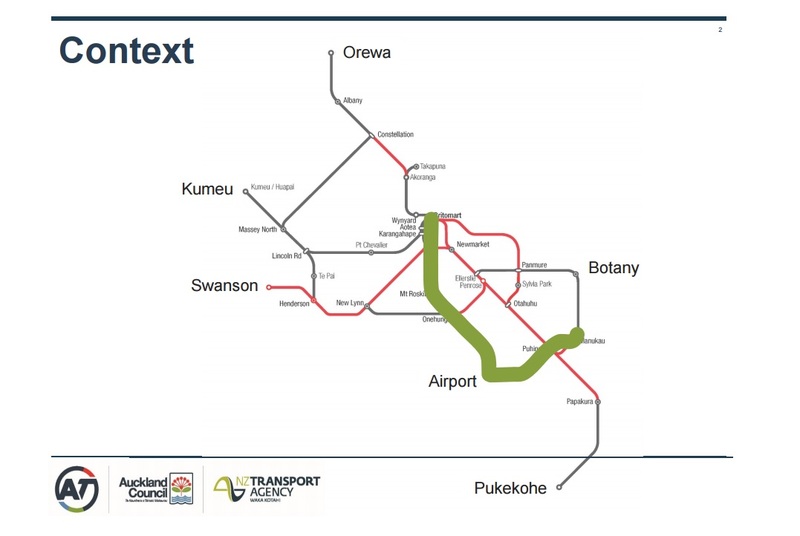 If anything given the prominence of Puhinui as a transfer will bring the need for the Manukau South Link to bring passengers wanting to go to Manukau from Papakura and Pukekohe directly to save clashing out with Puhinui Station. I suggest that to avoid confusion among those (most) people who don’t spend a huge amount of time studying transport issues, you call the Southern Airport Line the Southern Airport Bus Line. There are competing options eg trains and trams, and the argument is best understood if everyone knows which is being discussed. I was told to adjust the language and not use Bus in the Line term as it would give a final to what the Southern connection to the Airport would finally be. So on that advise I have used The Southern Airport Line. This make-shift scheme dodges the urgent need for heavy rail to the airport. 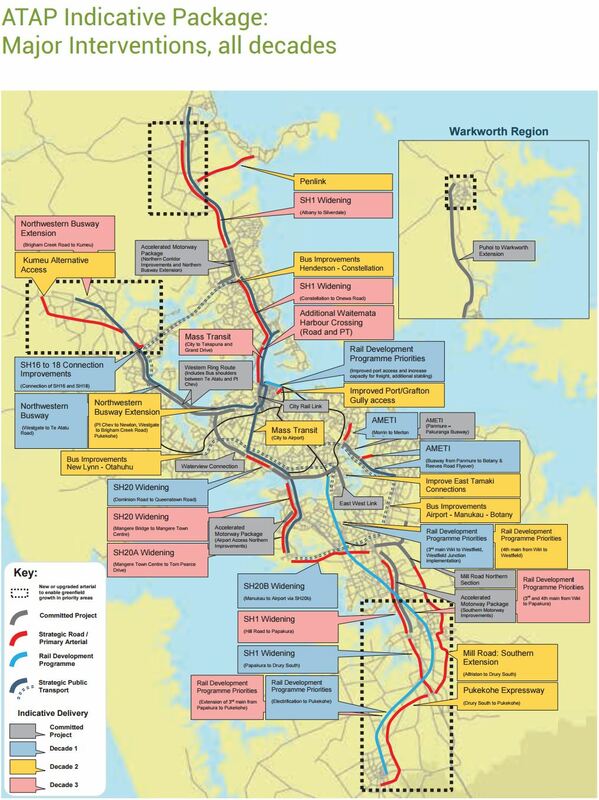 It’s time to get serious about creating efficient public transport networks in Auckland. Nope. 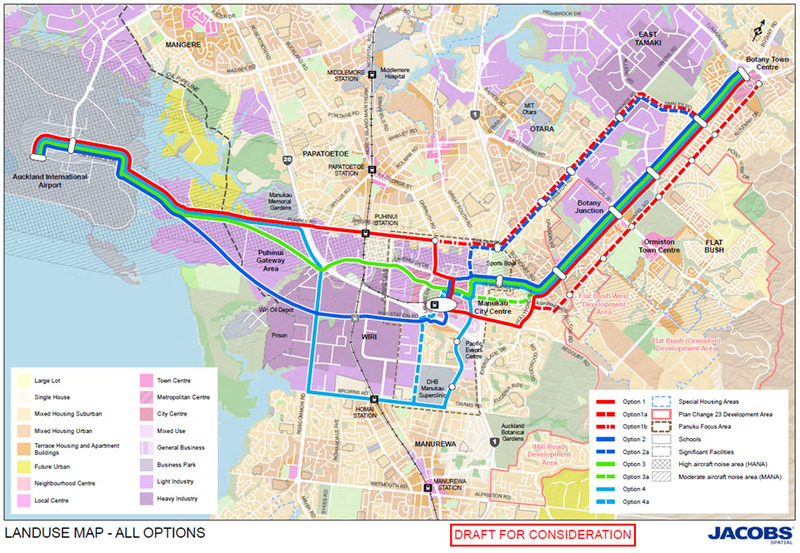 Even if Heavy Rail did come in from the north or via Otahuhu there was always going to end up with a Light Rail line from the Airport to Manukau and out to Botany connecting up with the SE Busway (or LRT). 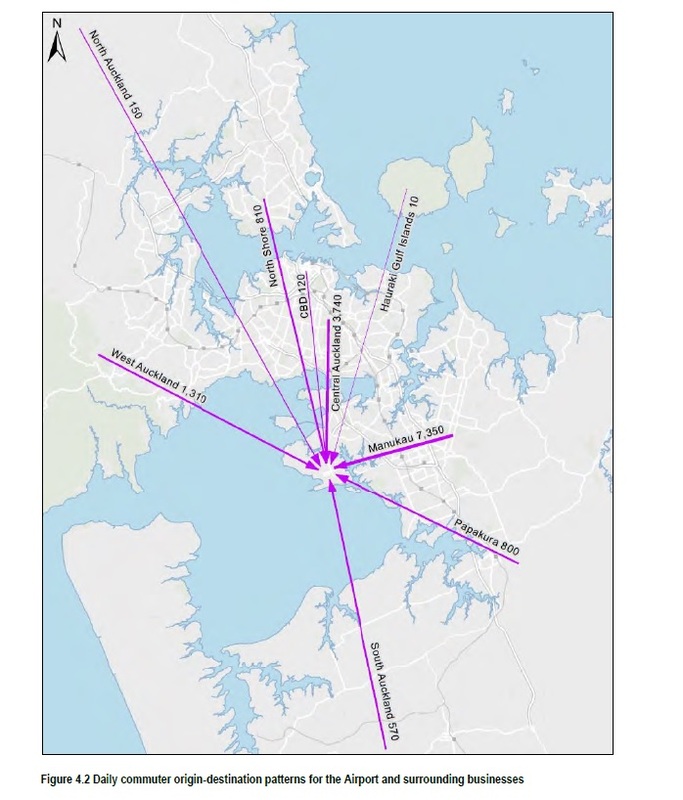 At least getting in the Airport to Manukau section away first while lining everything else up for the north the City will have a transit connection to the airport that also makes best use of existing assets.